Earlier today, I posted an article to show you how to Install MacOS Sierra 10.12 on VirtualBox on Windows. 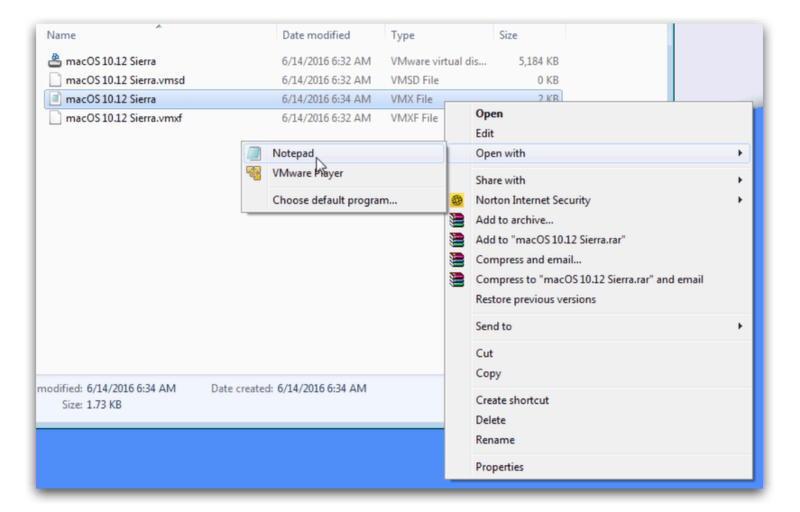 Some of the process is similar, but I’ll walk you through installing MacOS Sierra on Windows using VMware Workstation 12 Player in this article. To use VirtualBox instead of VMware, see how to Install MacOS Sierra 10.12 on VirtualBox on Windows. First, you’ll want to download and install VirtualBox v5.x. You’ll probably get a message about the download limit has been reached. If you have enough free space in your Google Drive, you can copy it into your Drive. Right-click on the file and select Make A Copy. Then click on My Drive in the left menu and download the image from your drive. After you download the image, open the .rar file and extract the VMDK file. Open Patch Tool folder then right click on win-install.cmd file, Select “Run as Administrator”. Browse to the directory that you used when you created your Virtual Machine. Right click on the vmx file then select Open with Notepad. 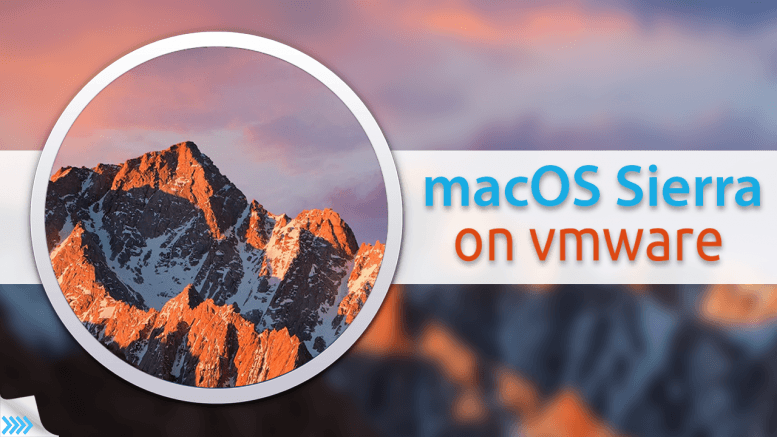 After you get up and running with your MacOS Sierra Virtual Machine, you can mount the VM Tool.iso file from the tools download at the beginning of this article. This will improve your mouse performance and some other VMware-specific enhancements. I like better in Vmware Player than in VirtualBox. Much easier to manage resolution, etc. I am only able to run with VMware-player-12.5.1-4542065.exe, so don’t update the player. If there’s a problem loading VMware tools, use Player to choose Darwin.iso as a optical drive. Interesting exercise and excellent guide! I´m getting Module disk power on failed !!!! after do this … install Sierra [VMware Player Free Win 10] ,… can upgrade to High Sierra?? ?